Greta Seiwald wins silver among the Under23 also in the international opening race of the XCO French Cup. Zaccaria Toccoli is the author of a "thriller" race among the men Under23: he closes in the 13th despite a mistake on the part of the jury. After a short stop the Santa Cruz FSA Pro Team returned to the races. This weekend he went to Marseille where the international opening race of the 'Coupe de France VTT' took place. Engaged in the transalpine trip only Zaccaria Toccoli and Greta Seiwald. Andrea Tiberi stayed at home to celebrate the born of his little Benjamin in the family while Gioele Bertolini is finalizing the preparation before the return to the group scheduled for the next appointment. Hard race, that of Marseilles, on a technical and difficult track, full of pitfalls, where rocks and dust put a strain on the mechanical means: "We can say that it was the official baptism of our Santa Cruz Blur CC in a XCO race - commented Greta - in this start of season we never run on a such technical and difficult track yet. And it went very well!" 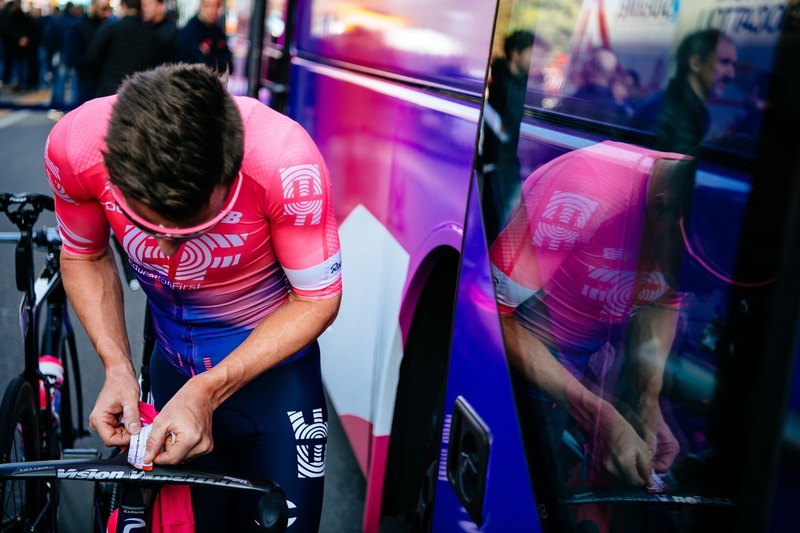 On Saturday Zaccaria, engaged in the men's Under23 race, experienced endless minutes of panic when during the second of the five scheduled laps he was forced by the jury to stop: "I started from the 5th row and I was in great comeback around at the 20th position - said #Zac - then the jury noticed that I was running with a wrong plate number. They thought it was not my race, but the mistake had been made in the secretery. They noticed it a few seconds after my forced stop. That cost me about 20 seconds ". Zaccaria recorded the 3rd absolute time during the 3rd lap. It goes up like a fury after metabolizing the error of the jury. During the last lap he recorded the 5th time but despite the great performance he closed only in 13th position, a few seconds after the 10th. "I'm a little disappointed for the inconvenience - concludes - but I'm still satisfied. The Blur has no rivals on these tracks and I'm fine!" Even Greta has a strange tale to tell. "During the free practices on Saturday morning I fell on a technical pass that I hadn't studied well yet. Today I did the whole race gritting my teeth but I reached the finish line till I could take the pain." Greta ran in the Women's Open race, between élite and Under23. 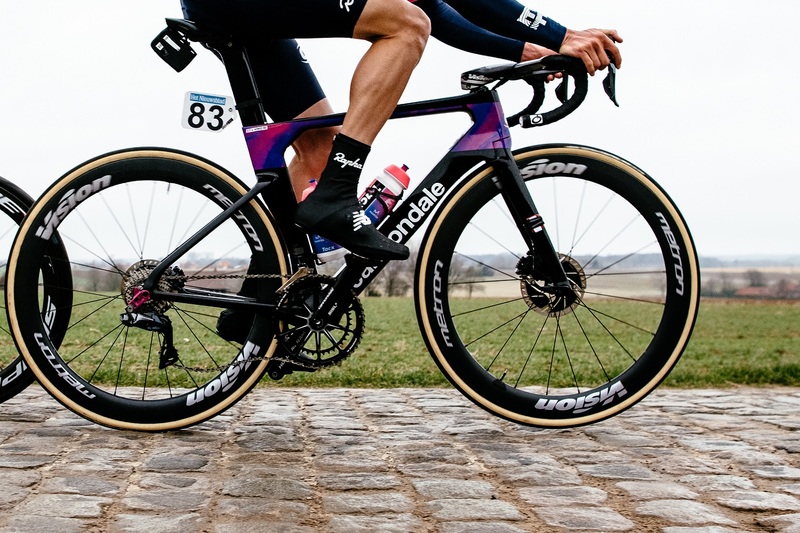 It started off well around 15th position but thanks to her Blur CC, thanks to the power of Vpp and the reactivity of the Reserve Wheels, she comeback up positions on positions until closing in 8th absolute, 2nd among the Under23. A little bit more of history is done. 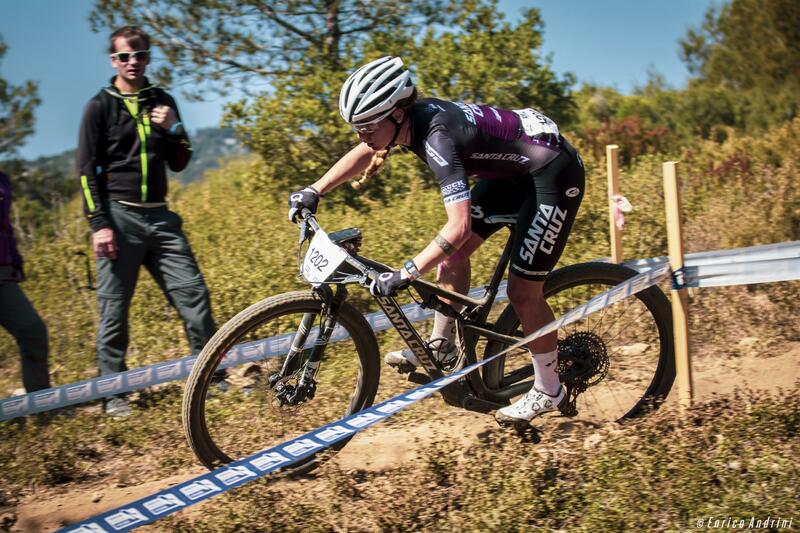 This is the first podium of a Santa Cruz Blur in an international XCO race in France: "Really exciting and extraordinarily beautiful - concludes Greta - if it hadn't been for the pains of the fall maybe I could have done even better. But even this time I can say d be extremely satisfied because the team is close-knit, the bikes are amazing and I'm very fine, bruises aside!"